Professionals from the Maritime Intelligence Units from Latin America, the Caribbean and West Africa met for three days in Natal, Brazil, with the aim of sharing experiences and good practices relevant to SEACOP (Seaport Cooperation Project), a project funded by the European Union and managed by FIIAPP. In addition, the workshop provided an overview of recent cases, and worked in a practical way by simulating real investigations in which networking was encouraged. The objective is to improve the synergies between the different teams from the Intelligence Units formed in the different regions. The various territories involved in the project have presented the achievements made thanks to the work carried out by SEACOP in seizing drugs at sea. 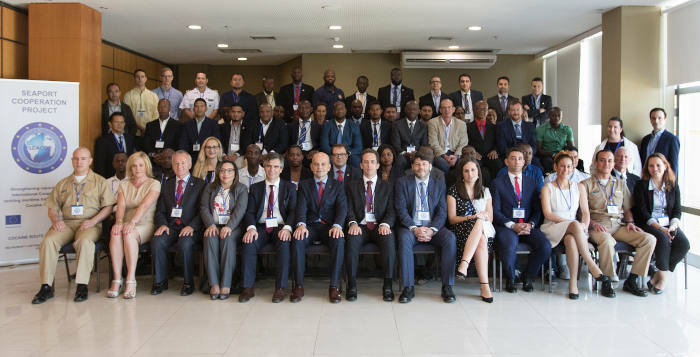 “The main objective of SEACOP is to fight against maritime drug trafficking by improving the skills of the professionals involved”, said Eduardo Talavera, head of the project, at the opening of the workshop. At the same time, other agencies and projects specialising in combating drug trafficking and its criminal networks introduced their methodologies and good practices, seeking complementarity with the training provided by the project in the regions mentioned. This training is carried out by professionals from the Spanish Ministry of the Interior (National Police and Civil Guard), French Customs, Portuguese Judicial Police National Crime AgencytheBorder Force UK police force and the Maritime Analysis and Operations Centre – Narcotics Maritime Analysis and Operations Centre – Narcotics (MAOC-N). FIIAPP has managed the European Union-funded SEACOP cooperation project since 2010. The project began in Africa, and over the years has also been implemented in the Latin American and Caribbean regions, resulting in the creation of Maritime Intelligence and Control Units along the “cocaine route”. These Units are already in contact and cooperate with each other, and it is expected that in the coming years the relationship between them will grow closer, which will result in an increase in the quality and efficiency of operations. This website uses its own and third-party cookies to enhance your experience and analyse browsing, improving the quality of services. If you continue browsing, it will be understood that you accept their use. You may obtain more information or find out how to change settings in our Cookies Policy.